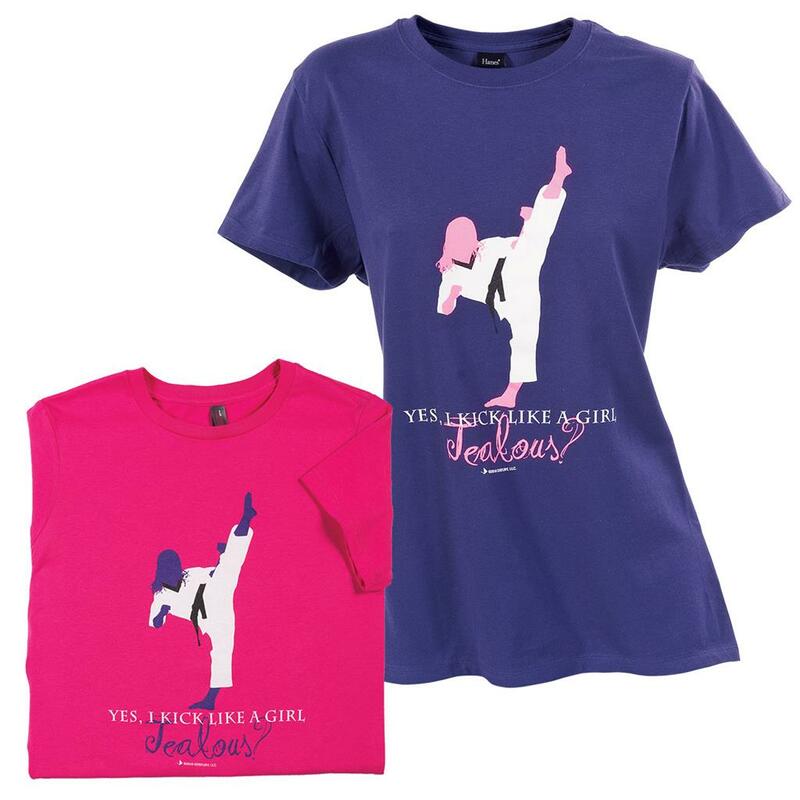 This girls, short sleeve shirt features a bold declaration of, "Yes, I kick like a girl, Jealous?" and a female martial artist graphic. Made of 100% cotton.